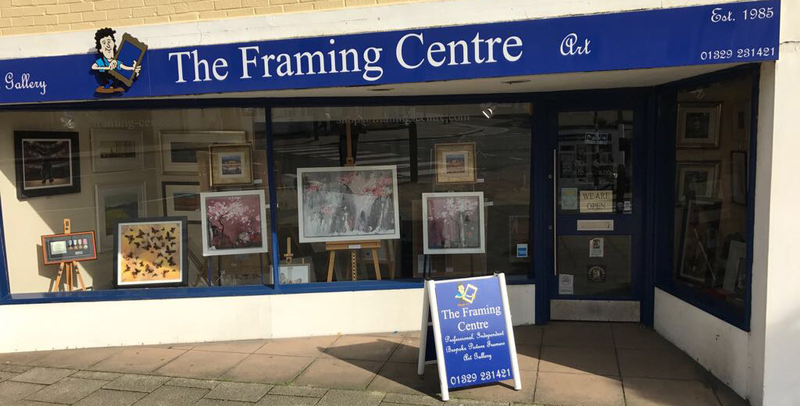 The Framing Centre is a friendly, independent, family-run business established in 1985. The business was formerly situated in West Street, Fareham but moved to 78 High Street, Fareham in 2013. We are members of the Fine Art Trade Guild. Our framers have over 40 years framing experience and our head framer is a Fine Art Trade Guild Commended Framer. We can frame medals, cross stitches/embroideries, prints, photos, shirts, almost anything really. Please take a look at our framing services section to see just a few examples of our work. If you would like a quote please bring your item in and we will gladly work the costing out for you. We have an extensive range of over 300 stock mouldings, from solid woods to metal in a wide verity of styles and colours and have access to over 3,000 from our UK based suppliers. We also offer a wide variety of glazing options from standard glass to full conservation and museum glasses. Our onsite framing workshop has a large gallery stocked with Limited Edition artwork by major UK publishers. Please visit The Artists page for availability.